Multi-location integration allows you to link customers to all your stores. Track customers in depth by dollars spent, number of visits,and top purchases. 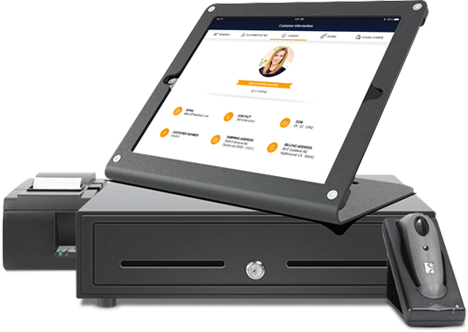 Count inventory anywhere on the sales floor with any mobile device like an iPad or iPhone. Update quantity and change prices in real time. Customer-facing iPad display shows targeted promotions, captures signature, and allows auto- suggested tips and tip adjustments. Generate tickets based on time, day, week, and more. Generate unlimited use and limited use tickets that can be validated at POS. Rapid’s purchase order module suggests product reorders when inventory is low. Computer assisted ordering and self generated ordering is also available. Track received orders manually if needed for quick and smooth transactions.